Join the Revolution! The Red Tie one, that is. 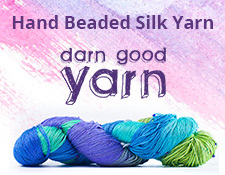 Knit Purl Gurl posted a great idea on her blog. What if knitters and crocheters who made a mistake in their work put a tie of red yarn on that spot and wore it with pride? We all make mistakes in our work, and we should love ourselves no matter what. KPG’s idea? What if the first Saturday in October was designated Red Tie Revolution Day and we wore our red tie mistaked work with pride? I think it’s a great idea, and support it here publicly here on Ludicraft. Check out her post for more details and her thoughts on the concept. I also encourage you to participate and tell your other knitterly or crocheterly friends about Red Tie Revolution Day. Read more: Red Tie Revolution!